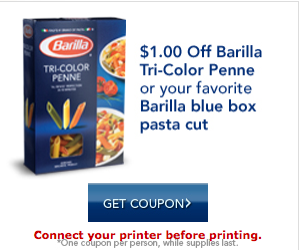 There is a new $1.00/1 Barilla Pasta coupon that is available to print. Scroll down and click on “Get Coupon” to print it. Many stores have pasta on sale for around $1, making it free or almost free after the coupon!